For those of you serving an Easter meal this weekend, how about some pretty springtime plates to wow your guests? 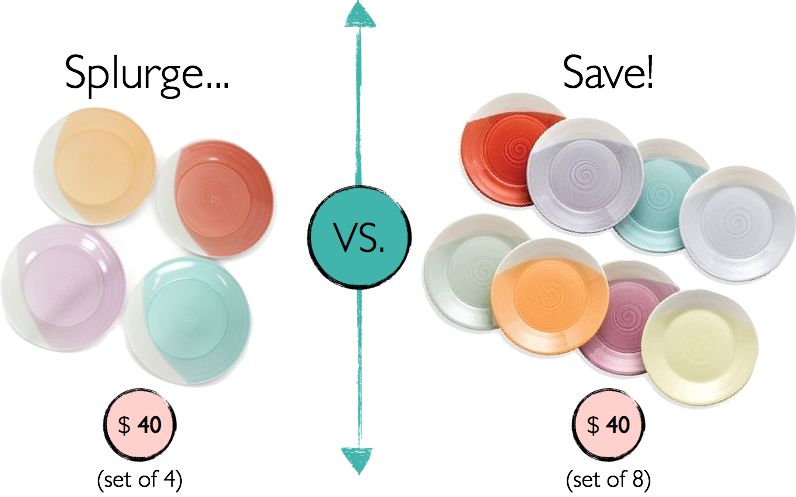 I've seen the trend of dipped plates all over the place this season, and I can't help but love their simple but graphic and colorful look. Wouldn't they be beautiful paired with white dishes and serving pieces? If you go for the "save" version make sure to find a Bed, Bath, & Beyond coupon online or laying around...they even take expired ones! !